This podcast is an audio export of the LIVE YouTube Broadcast, Sunday Slow-Down @ J&J Acres, a part of The Homestead Network, a collaborative effort of YouTube channels to provide LIVE Homesteading related video for your viewing pleasure. Subscribe to us on YouTube and watch us LIVE on Sunday Evenings at 8pm, Central Time! Be sure to Subscribe to our YouTube Channel to be a part of our next LIVE Show! Who knows what the topic will be! 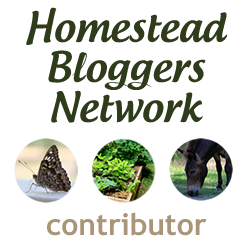 Sign-up for our Newsletter and get our eBook: Your Dream Homestead: Where to Start, for FREE!